Web design and development competition can be fierce for freelancers. This is especially the case for those, who have small businesses as their targets. It’s often hard enough to find work in a specific niche. Now, imagine how difficult it can be to create proposals for several different niches – at once! Doing so can take plenty of time and energy; more than you really want to spend. “Quick and easy” is somewhat of an exaggeration, yet, hear us out. 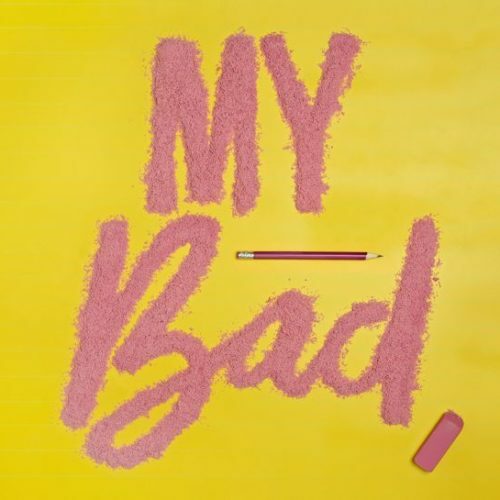 There is an easier and more effective way to draw in those clients who are in dire need of help. If you fit into this picture, you’ve probably been wasting hours looking for the way to pitch your services. Yet, you can take some comfort in the knowledge that many of your competitors are in the same situation. How then, do you approach selling your services to multiple clients? This can be extremely hard if they are representing a variety of business types. At the moment, there are 13 or so different niches that are severely in need of help in building an online presence. Be Theme is the biggest WordPress theme and a top 5 ThemeForest seller. It provides you with a nearly perfect way to pitch your services to any one of these niches, or all of them. You don’t have to limit yourself to one or two. 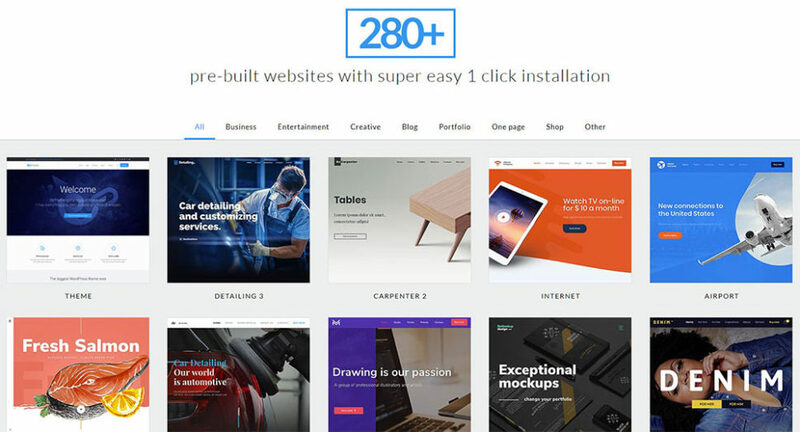 It’s simply a matter of browsing through Be’s 280+ small business pre-built websites. You can choose the template that is the best fit for a given business. Finding a perfect fit for a given business niche will take up very little of your time. Whichever template or templates you choose can be installed with a single click. 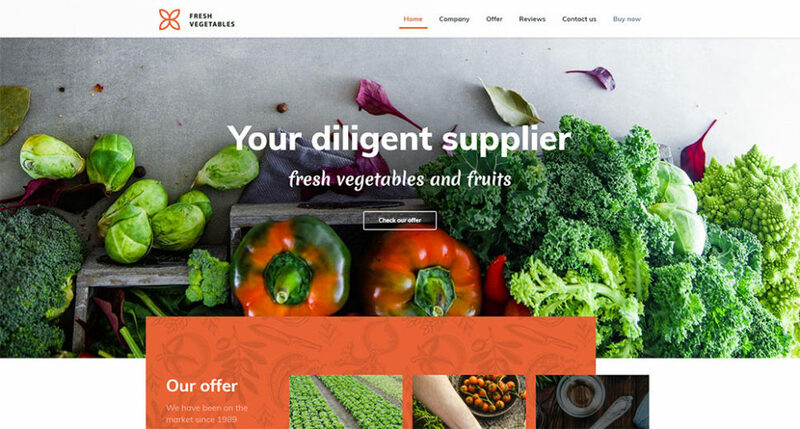 Consider building a website prototype that can be the centerpiece of your proposal. Not only can you do so quickly, but your potential client is bound to be impressed. He/she will be convinced that you care about finding a solution to his or her needs. Kick off your new strategy with one or more of these Be Theme templates. They are customizable and easy to work with. 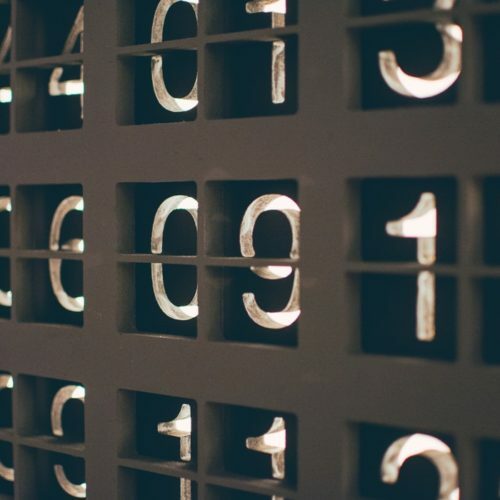 Moreover, they contain the basic functionality a client in a given niche expects to see. 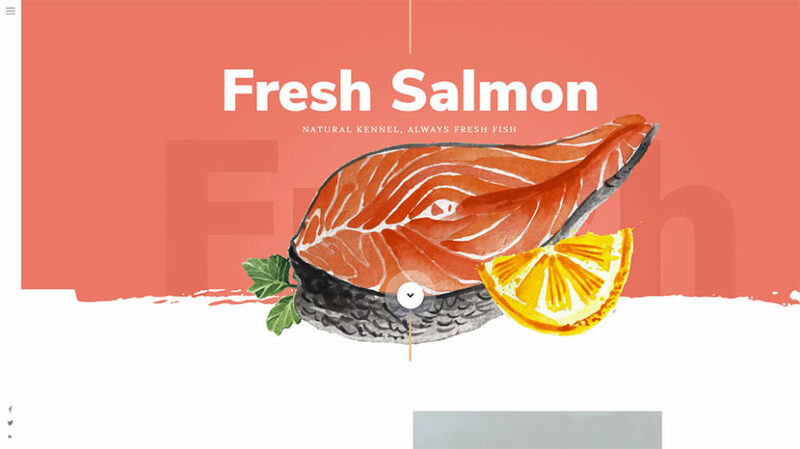 This template’s use of large images to present food items, its interactive menu, and a testimonials section, combine to entice website visitors to act. A detailer’s website needs to have a bold, professional look such as this one. Before and after images are a key selling point, and the price listing for services is nicely structured. Users want to know when and where meetings or events are scheduled to take place. The countdown clock feature can serve several purposes, and this template’s clean design makes navigating a cinch. 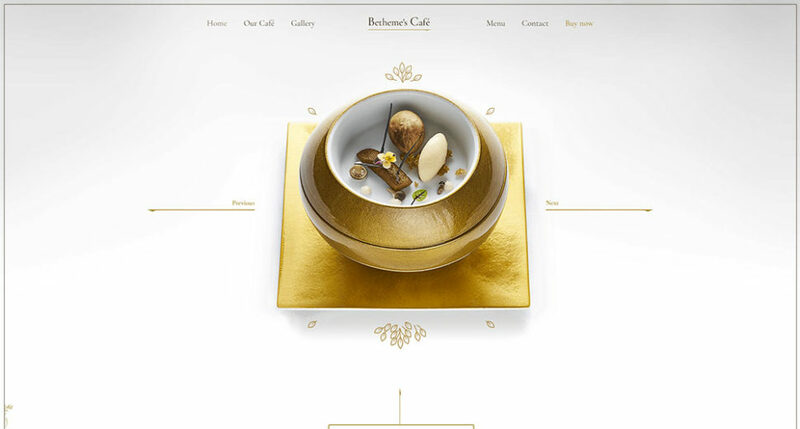 A hallmark of salons and spas is that of a luxurious environment, as exemplified by this BeTheme template. The integrated eShop will make your client happy, as will the soft design used in promoting products and services. 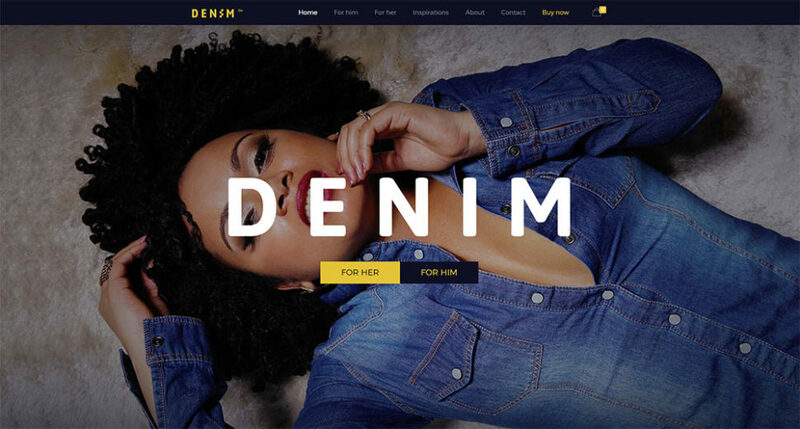 BeDenim also features an integrated eShop. 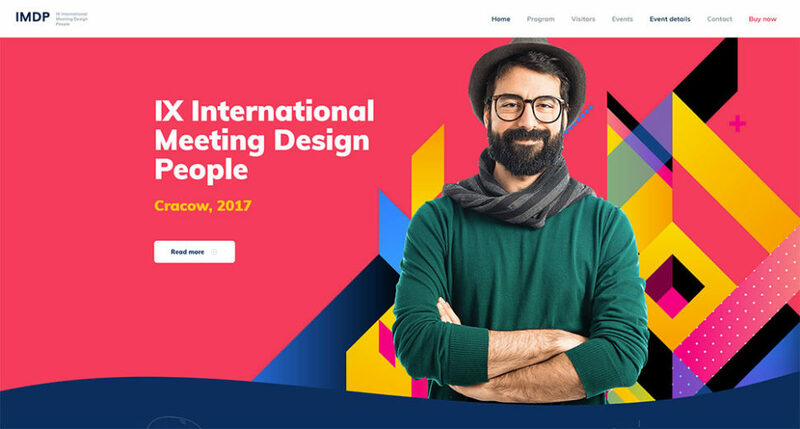 As for the design itself, you’ll want bold color combinations, striking images, and easy navigation like that demonstrated in this template. The last thing a client representing this niche wants, would be to own a staid, unimaginative website. BeHipHop, on the other hand, includes everything from a video and audio player, to an interesting and informative blog section. 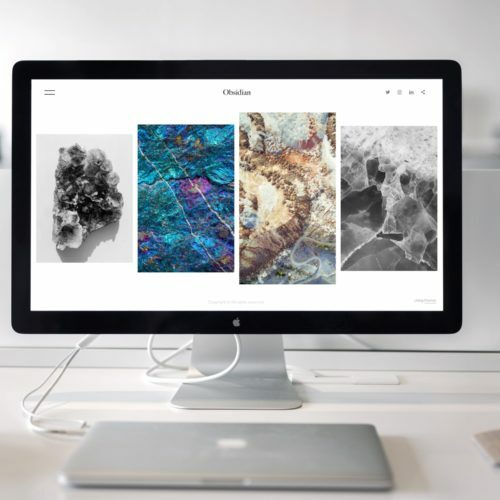 This template’s interactive product presentation feature is designed to help your client’s business stand out from the crowd (and your business as well). Users will appreciate the ease in ordering the CTA buttons and price listing support. 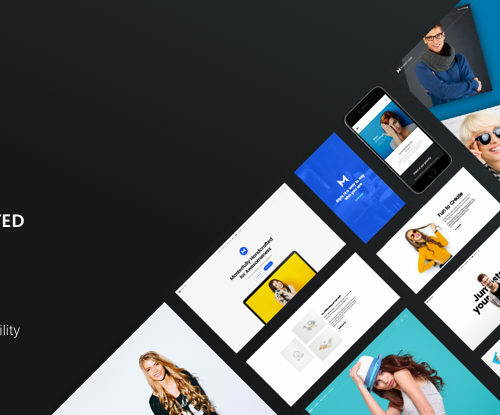 This template’s impressive gallery is a key feature you’ll want to incorporate in any website you produce for an artistic or creative niche. Your client will be pleased with the inclusion of a presentation video. BeTraining’s features include an intuitive menu, attention-getting video thumbnails, and easy navigation; everything needed for an eLearning or similar platform. 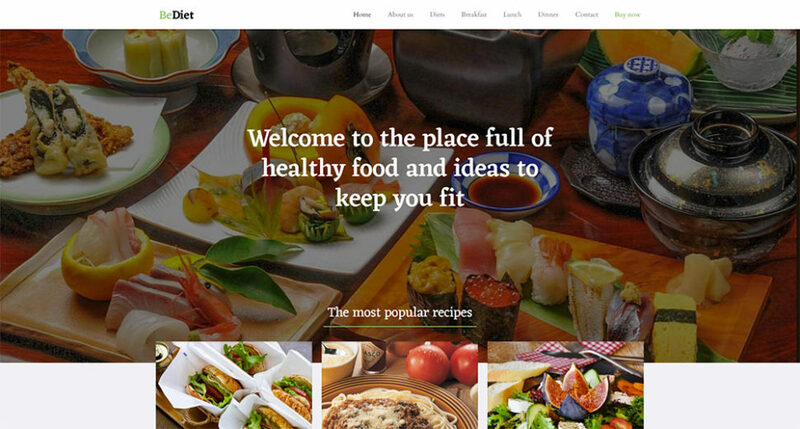 BeDiet is another template that features large, high-quality images. As an added touch, recipe sections are incorporated into the main menu. A blog section is also included. BeClinic2’s crisp, simple design, clean structure, and well-organized, easy-to-read content, represents precisely what is needed in a website for the medical care niche. The architectural design, which involves the clever use of white space and geometry in the large images coupled with a professional presentation video, will make a website for this niche a winner. It is extremely useful to have resources like the above at your disposal. With them, you should no longer have to worry about your proposals being lost in the shuffle. In fact, you might have a template that enables you to build an award-winning website. Yet, this isn’t enough. Search Facebook for businesses in niches of interest to you. You might want to search for those, which could include any or all the above niches. Your search can include both small businesses and entrepreneurs; the more, the better. Having done so, it’s a matter of asking groups’ admins for permission to post your services. Answer their questions honestly and completely. Then, you should not face any problems establishing yourself as a web design expert. Cold emails are far better than cold calls. 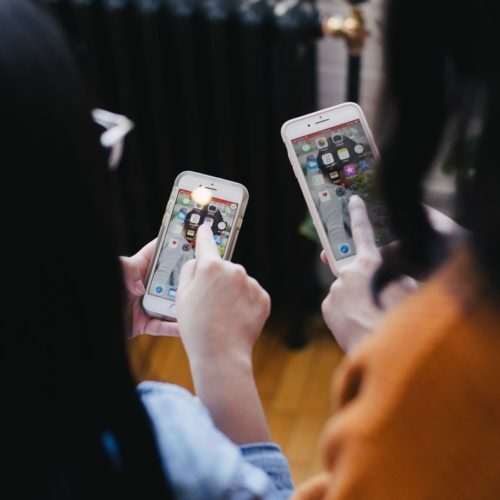 You won’t feel as if you’re intruding, or taking up an individual’s time, nor will the person you’re attempting to contact. Decide on a business you would want to work with, and look it up on LinkedIn. You should be able to find a key individual to contact. Email your proposal to that person. Make it clear up front that you would like to HELP them establish an online presence. Make sure to let them know that you can also improve upon the one they already have. If you emphasize helping, rather than selling, your email is less likely to be consigned to the trash bin. Close your email with a suggestion or an open-ended question. Just like that, you will invite further discussion. You might even suggest forwarding several examples of the services you provide. It’s not the hottest companies on the market you want to focus on. It’s those that are truly in need of your services. There’s no shortage of small businesses looking to establish an online presence. Moreover, there is no shortage of those who have done so, are unhappy with the results. Check out the 13 niches discussed here. Use Facebook, LinkedIn, and email to pitch your services. Offer your help to the potential clients – this is very important. 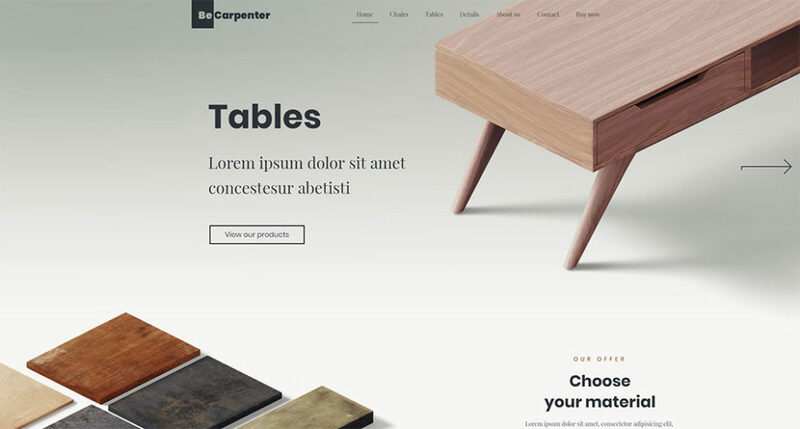 Then, it’s simply a matter of using Be Theme’s 280+ pre-built websites. Choose a template you can customize to fit your client’s needs.